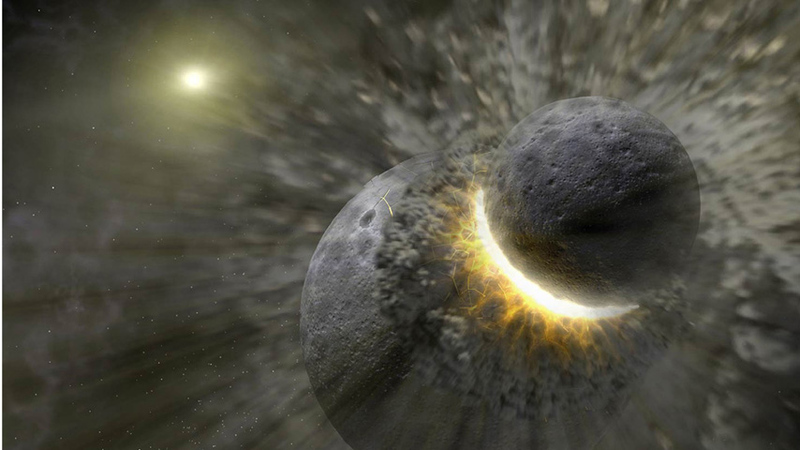 Billions of years ago, Earth collided with its twin planet Theia. The impact and resulting geophysical changes prepared Earth for complex life. 4 billion years ago Earth had a twin called Theia. Theia was about the size of Mars, and was on a similar orbit to Earth. As the force of gravity between Theia and Earth grew, they pulled each other off course and collided. Following the collision with Theia, Earth grew large enough to sustain an atmosphere. Early in Earth's life, over 4 billion years ago – our planet had a twin called Theia. Theia gave Earth the chance to harbour life. About the size of Mars, Theia was on a similar orbit to Earth.